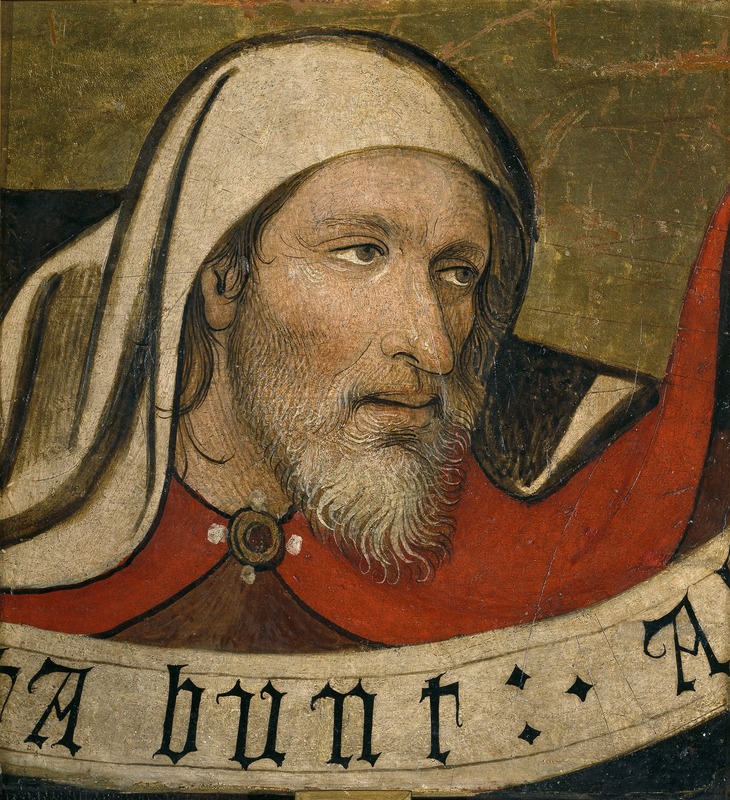 Jaume Huguet (1412–1492) was a Catalan painter. Originally from Valls, he moved to Tarragona to stay with his uncle Pere Huguet, who was also a painter. When they moved to Barcelona he was exposed to modern trends of the time. 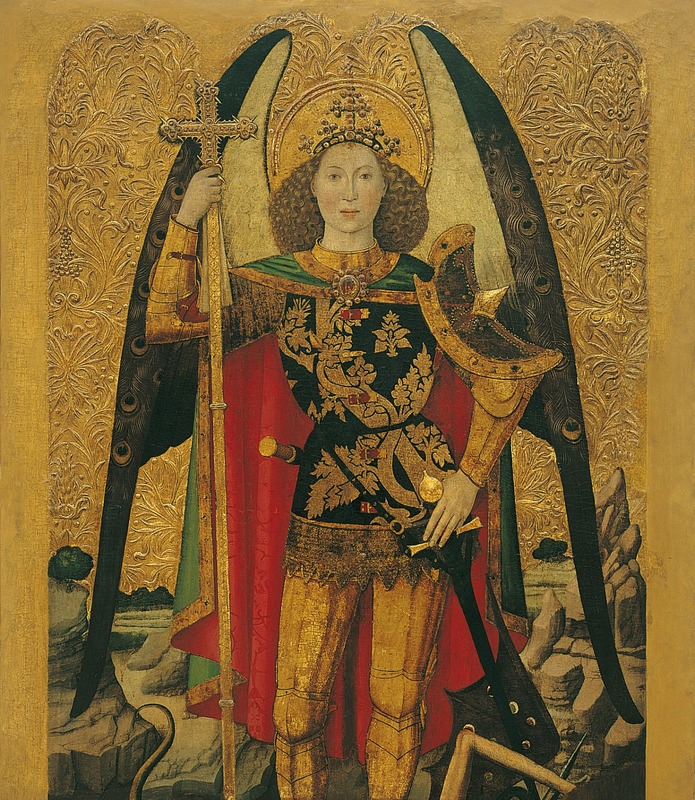 Between 1440-1445 he worked in Zaragoza and later in Tarragona, where he was influenced by the Flemish style of Luis Dalmau. 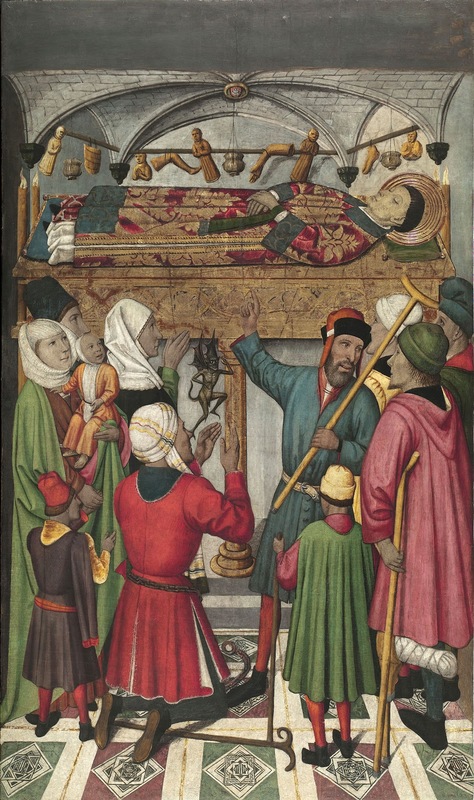 A retablo from Huguet is in the Monastery of Pedralbes, while another, depicting the Adoration of the Magi (or Epiphany) is housed in the Chapel of St. Agatha in Barcelona's Palau Reial Major. 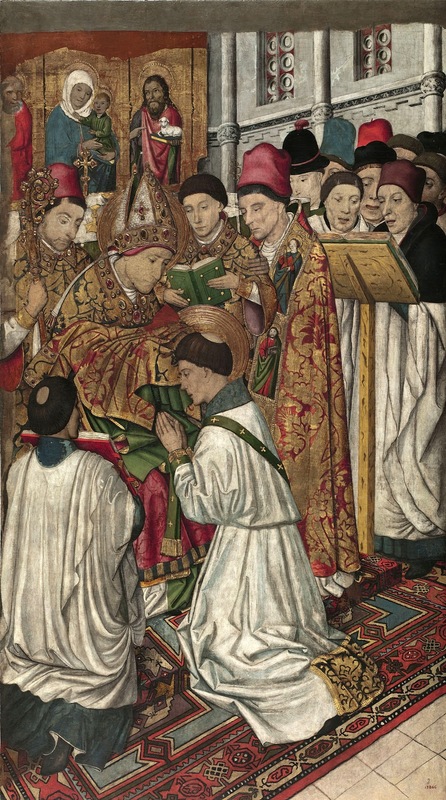 A number of works by Huguet, including The Consecration of Saint Augustine, are held in the collection of the Museu Nacional d'Art de Catalunya in Barcelona, Spain. Jaume Huguet was born about 1412 in Valls and orphaned in 1419. His father, Antoni Huguet, appointed in his will that Jaume and his brother, also named Antoni, were to be under the guardianship of Pere Huguet, the boys' uncle, and Pere Padrol. 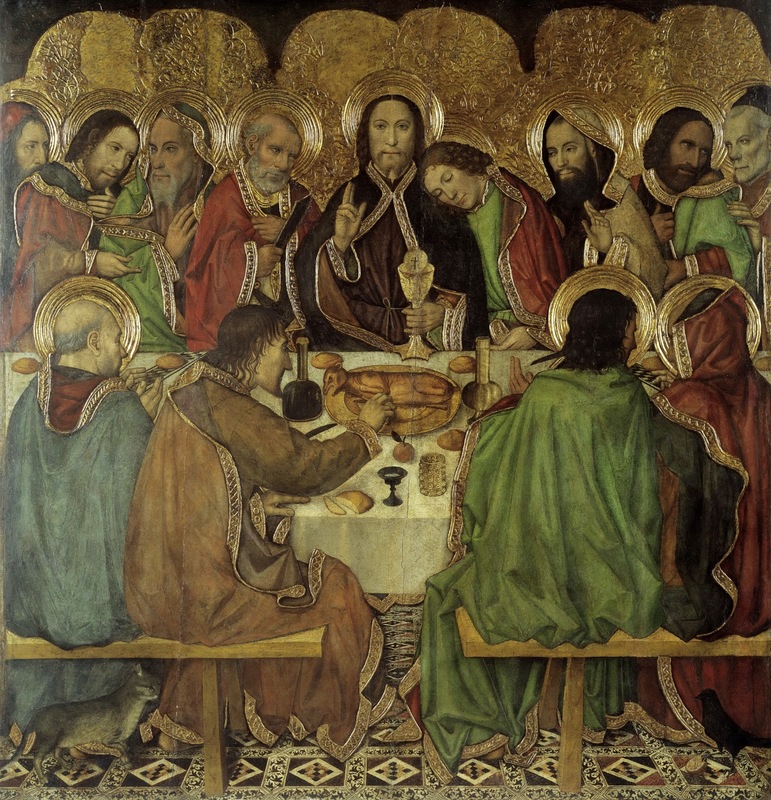 Pere Huguet was a painter and became Jaume's tutor. Jaume's beginnings by his uncle's side most likely took place at Mateu Ortenada's workshop. Following an apprenticeship, he would have completed his training at the worship of a recognized painter, although it is unknown with whom. 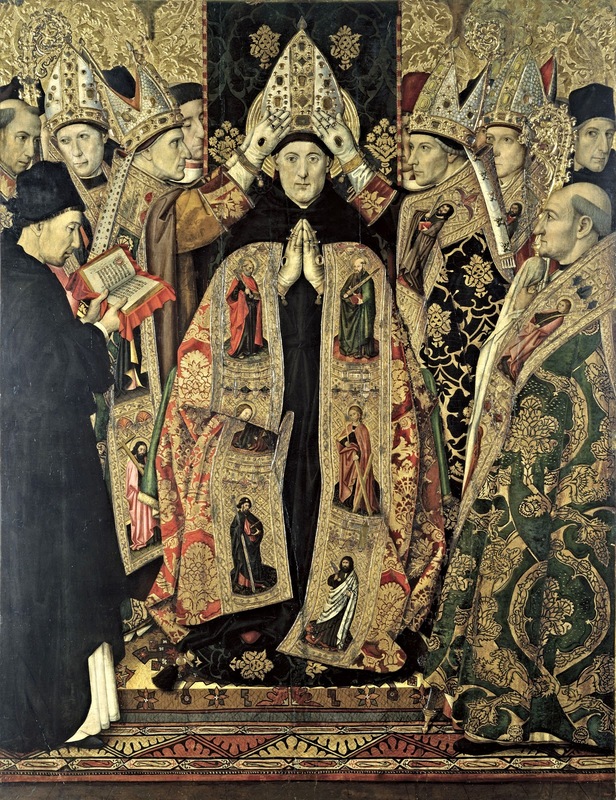 While it is presumed that Huguet was actively painting in his youth, there are no documents to support this until 1448, when he gave his brother, Antoni, the legal power to accept payment for him and the instructions to cancel a job painting an altarpiece for the town of Arbeca in Tarragona. It was also in 1448 when Huguet moved his workshop to Barcelona. 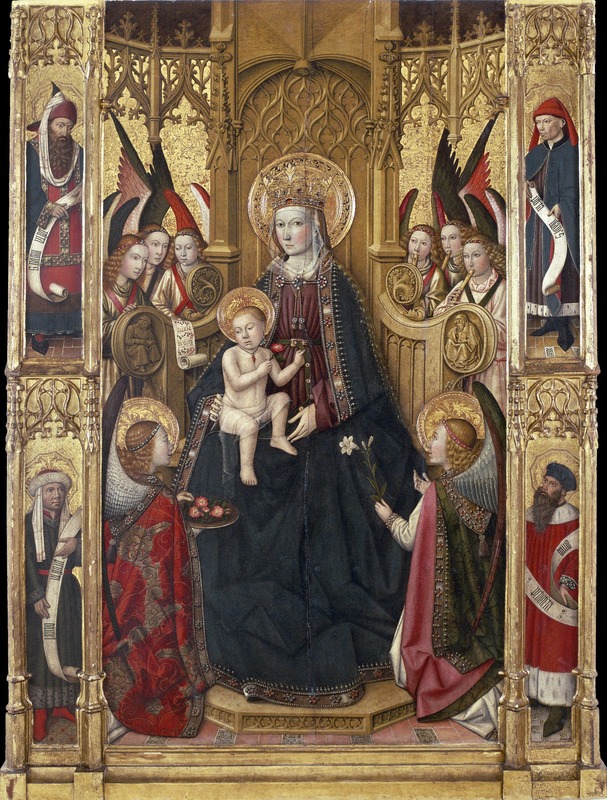 The first documented piece that Huguet was commissioned to paint was the high altarpiece of the Church of Sant Antoni Abat in Barcelona in 1454. Unfortunately, this piece was destroyed in 1909. 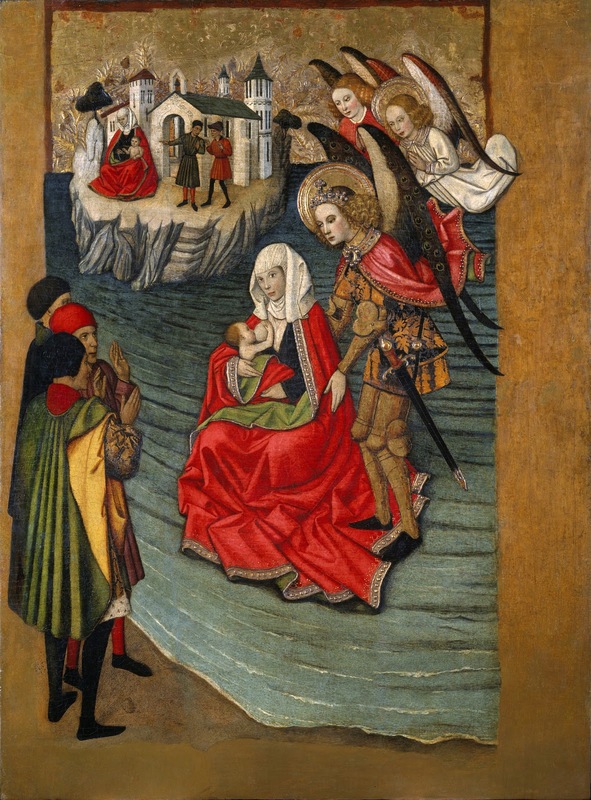 In 1455 he was contracted to paint two compartments from the predella of the high altarpiece of the Church of Ripoll Monastery as well as altarpiece of Saint Abdon and Saint Senan from the Church of Sant Pere in Terrassa, which was completed in 1460. 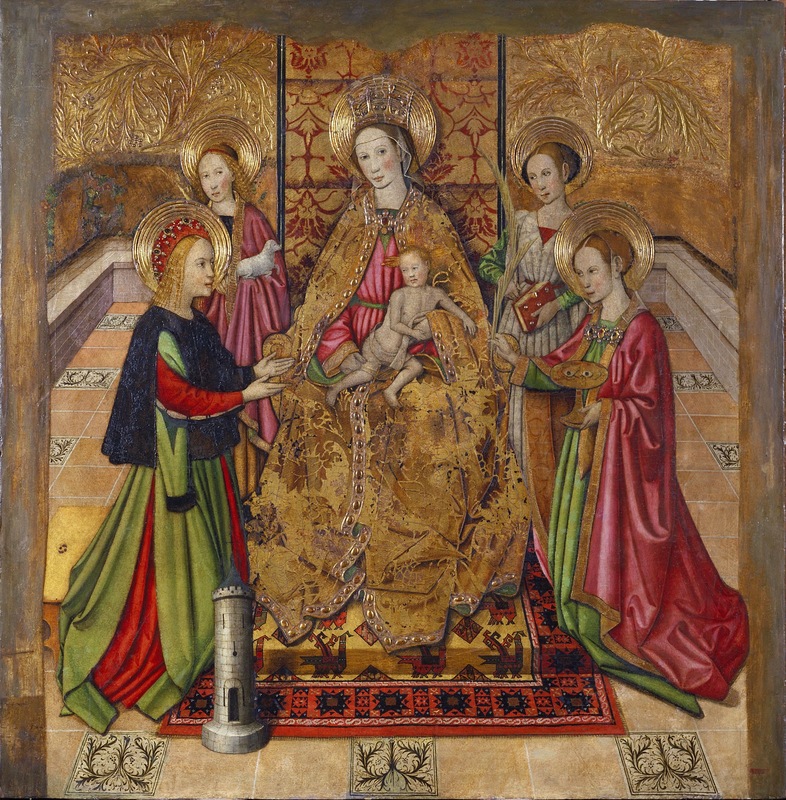 Huguet became a highly sought after artist and was commissioned by the Crown of Catalonia and Aragon to paint the Epiphany Altarpiece from the high altar of the Chapel of the Palau Reial Major in Barcelona, which he worked on in 1464 and 1465. 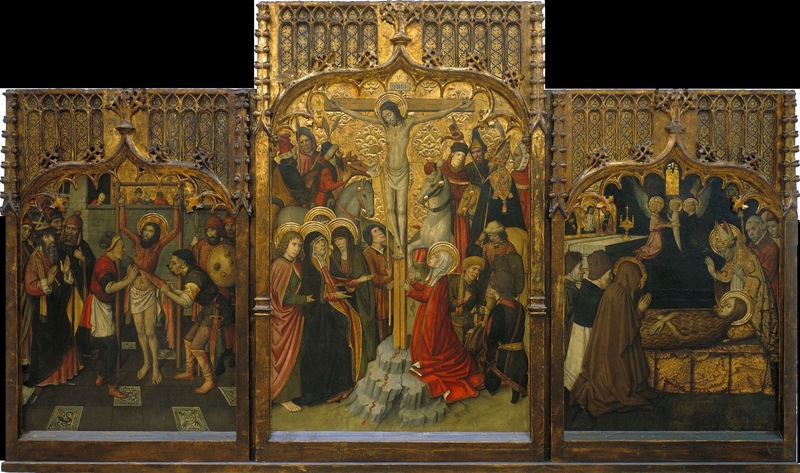 He also painted the central panel from the altarpiece of the Chapel of the Esparto Workers' and the Glazier's Guild in Barcelona Cathedral, which he finished in 1468. 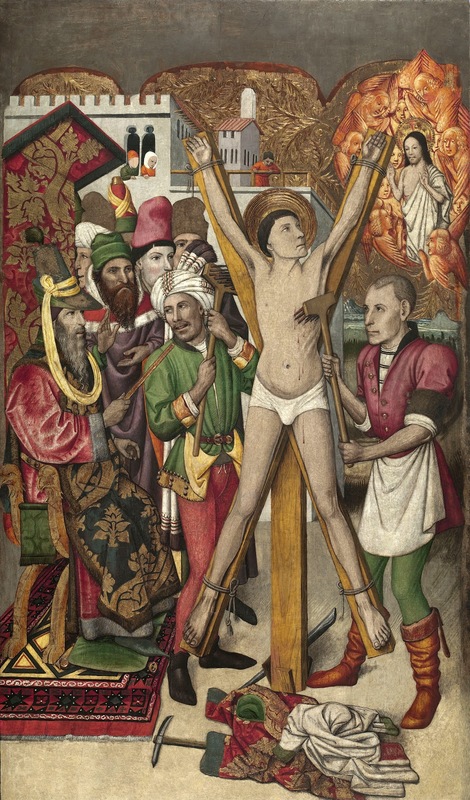 Jaume Huguet (Valls, 1412 - Barcellona, 1492) è stato un pittore Spagnolo⏭ di origine catalana. Originario di Valls, Huguet si trasferì a Tarragona per stare dallo zio Pere Huguet, anch'esso pittore, presso il quale completò la sua formazione artistica. 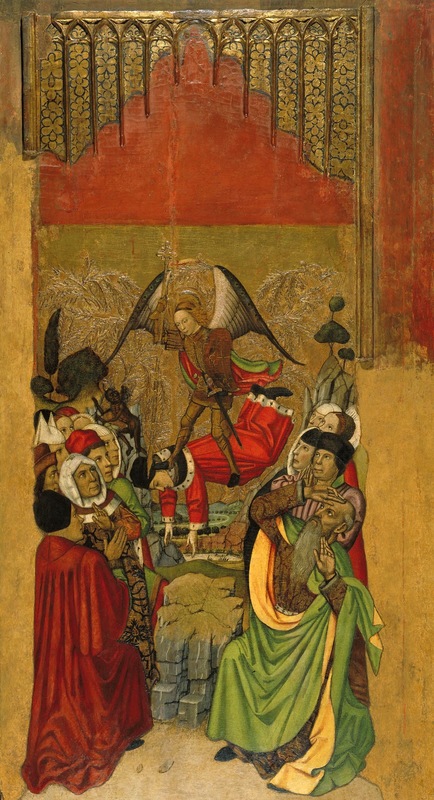 Dal 1440-1445, secondo la maggioranza degli storici dell'arte, Huguet operò a Saragozza, come attestano la Pala di storie di Maria di Cervera de la Cañada ed il Trittico della Vergine di Alloza, realizzate nei primi anni quaranta del Quattrocento. 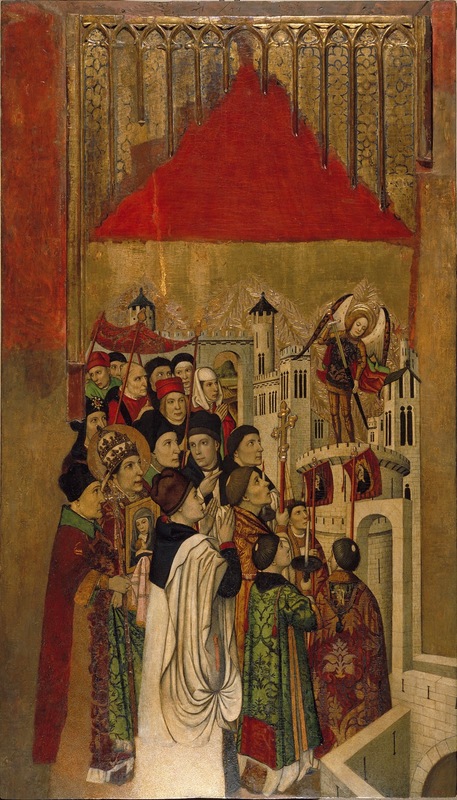 il San Bernardino e l'Angelo, nel Duomo di Barcellona (1468). È anche documentato in Valencia. 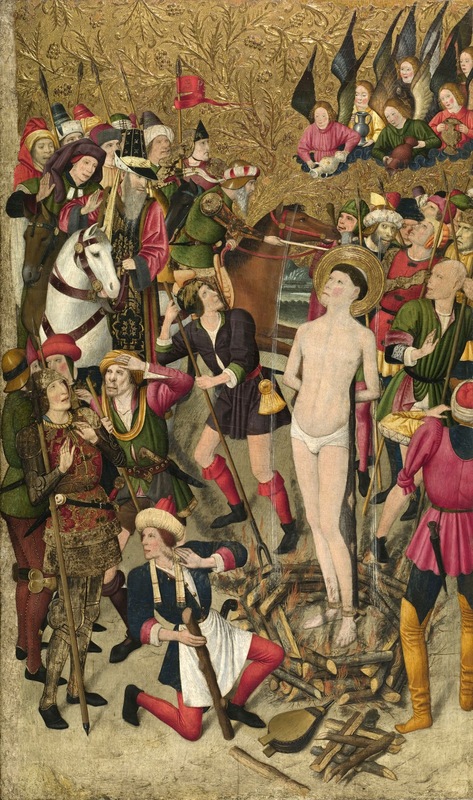 Huguet è considerato dai critici d'arte uno dei più importanti artisti spagnoli del Quattrocento, a cui è attribuito il merito di aver diffuso uno stile catalano in tutta la penisola iberica, integrandolo sia con le influenze dello stile fiammingo di Lluís Dalmau sia con l'arte italiana, e assicurandogli contemporaneamente una originalità e una peculiarità significative. Le opere di Huguet si caratterizzarono per una plasticità marcata e intensa, che ridusse al minimo le strutture decorative ed esaltò le soluzioni cromatiche originali. 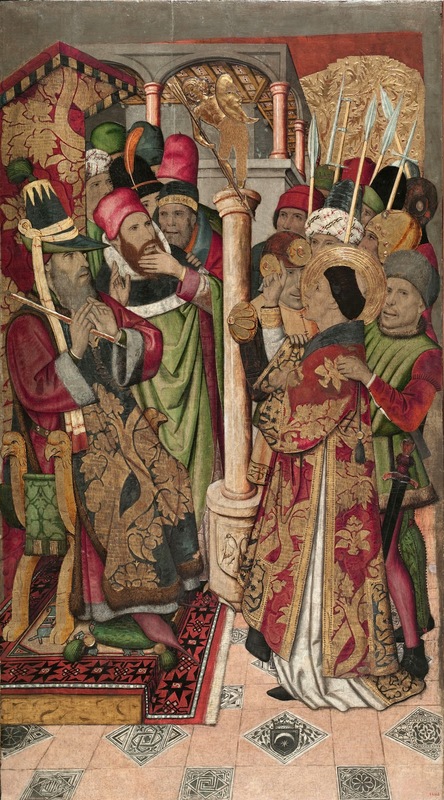 Inoltre Huguet espresse artisticamente quella ricerca spirituale dominante in Spagna nella sua epoca. Nella seconda metà del quattrocento la sua bottega fu la principale di Barcellona. 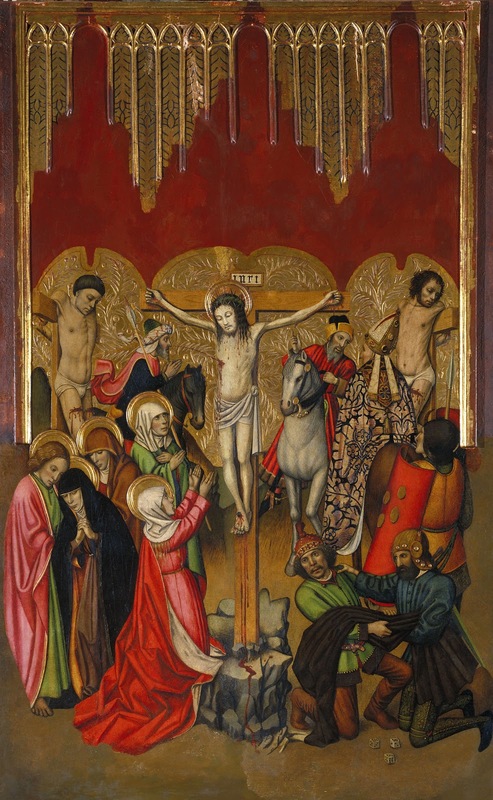 Le opere più celebri di Huguet si trovano soprattutto nel Museu nacional d'art de Catalunya.